Nowadays, thyroid issues are becoming quite the norm. Blame it on your lifestyle or genetic background, these cases are definitely on the rise. The thyroid gland is a butterfly-shaped gland at the base of your neck. Any change in its size or function results in hormonal imbalance and other complications. 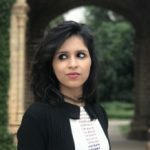 If you want to treat an existing thyroid problem or simply prevent its occurrence, here are some of the best essential oils for thyroid that will help you in your quest. Gently massage this mixture on your stomach, behind your neck, and on the soles of your feet. 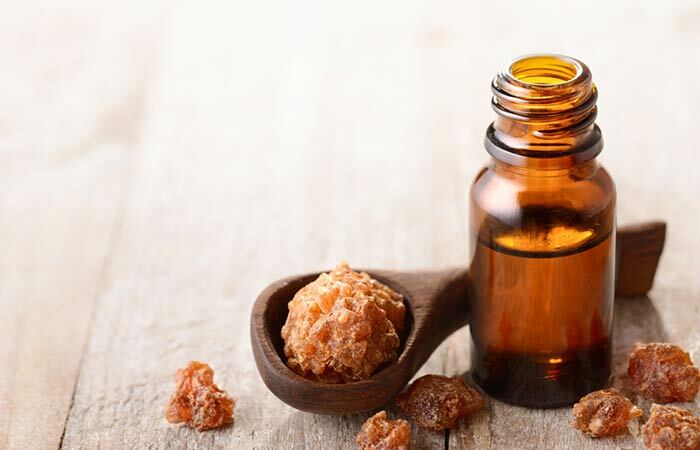 You can also add a drop of food-grade frankincense oil to a glass of water and consume it daily. A drop or sudden increase in the level of thyroid hormones can lead to inflammation. 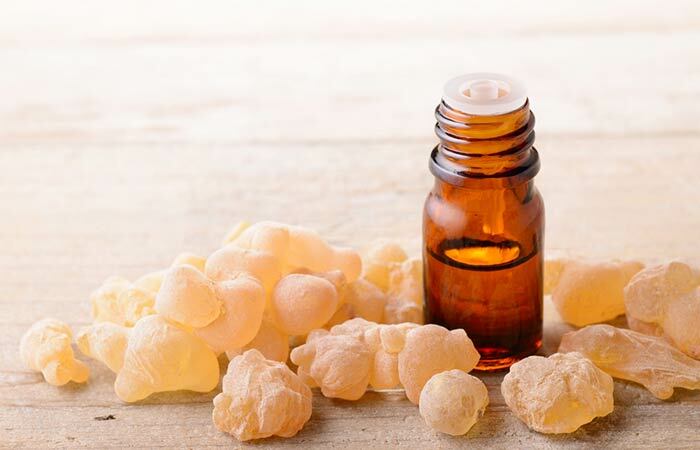 Frankincense oil helps to reduce the inflammation in your body and gut with its anti-inflammatory properties (1). This, in turn, helps restore your hormonal balance. This essential oil is equally effective for hyper and hypothyroidism. Add six drops of ledum oil to 15 mL of coconut oil and mix well. Rub this mixture gently on the soles of your feet, your stomach, and behind your neck. You can also add a few drops of ledum oil to a diffuser and inhale its aroma. Ledum oil is widely used for its various health benefits. It helps in treating thyroid problems by regulating the functioning of the thyroid gland. It has anti-inflammatory properties and can thus help in reducing inflammation (2). Ledum oil is ideal for those struggling with both underactive and overactive thyroids. Add a few drops of lemongrass oil to a diffuser and inhale its pleasant aroma. apply this mixture gently to your temples, stomach, and behind your feet. 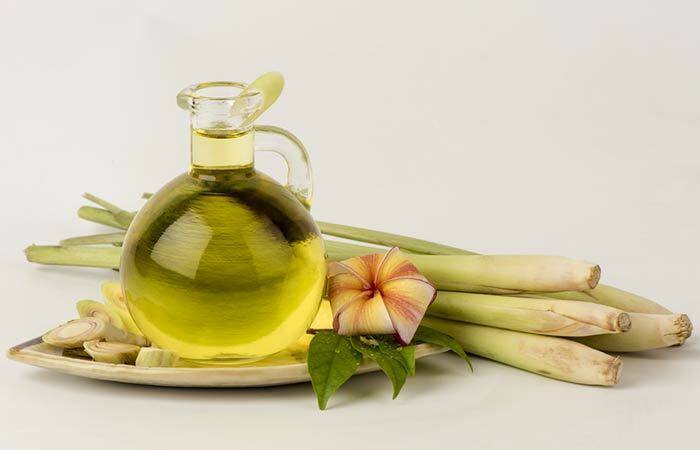 Lemongrass oil can treat hyperthyroidism. Like most essential oils, it possesses anti-inflammatory properties that help reduce inflammation (3). Its pleasant aroma can help relieve symptoms like stress and anxiety. Add six drops of clove oil to 15 mL of any carrier oil. Rub this mixture on your stomach, behind your neck, and on the soles of your feet. You can also add three drops of clove oil to a diffuser and inhale its aroma. 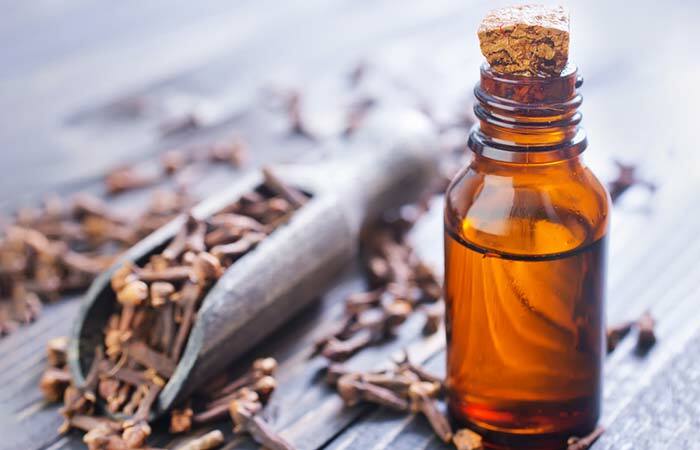 Clove oil can help regulate your thyroid hormones and their functions and is especially helpful in the treatment of hypothyroidism (4). The eugenol in clove oil is responsible for its pleasing odor, which can help relieve stress and anxiety (5). Add six drops of myrrh oil to 15 mL of coconut oil and mix well. You can also put three drops of myrrh oil in a diffuser and inhale its aroma. Myrrh oil, like clove oil, is used to stimulate the thyroid gland and is thus quite effective in treating hypothyroidism (6). The sweet and spicy fragrance of the oil helps in promoting sleep and calmness. This can help combat symptoms of stress, anxiety, and depression (7). Add three drops of sandalwood oil to a diffuser and inhale its fragrant aroma. 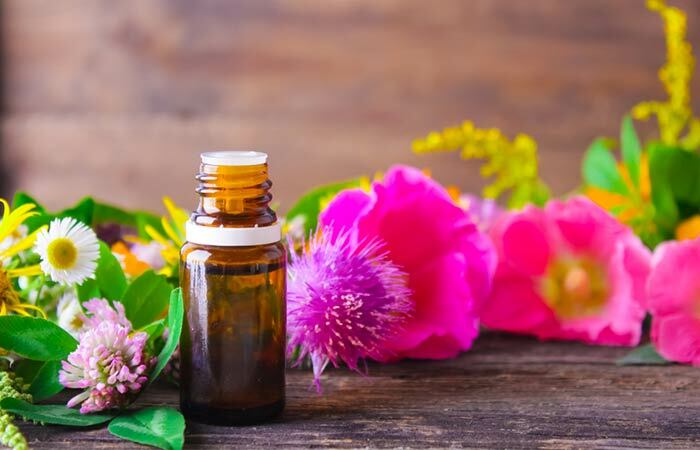 You can also mix six drops of sandalwood oil with 15 mL of any carrier oil and rub it on the base of your neck, stomach, and behind your feet for relaxing effects. 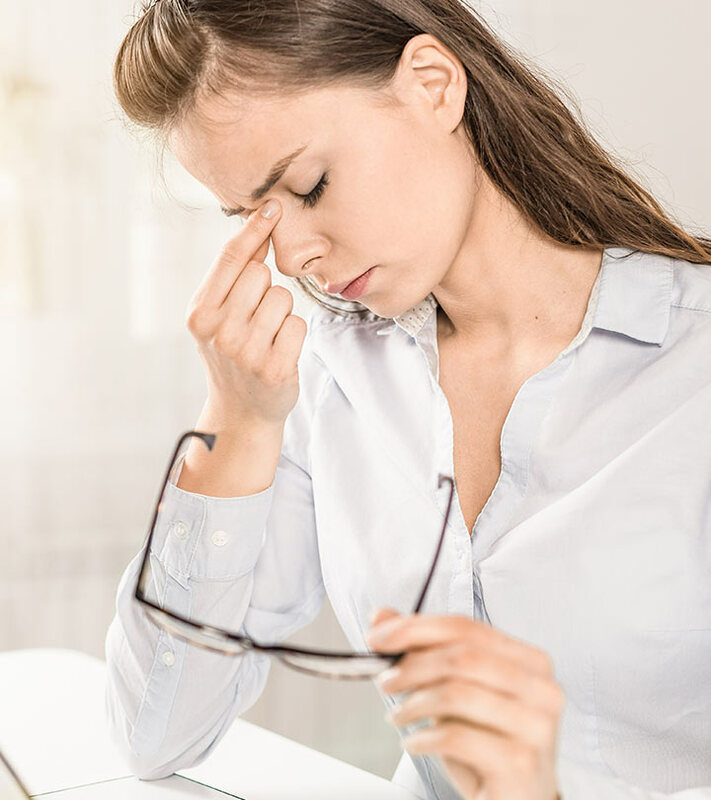 As you know, thyroid problems are often associated with stress, anxiety, and insomnia. This is where sandalwood oil can be especially helpful. Its pleasant aroma can help reduce stress and anxiety, thus helping you remain calm and sleep better (8). 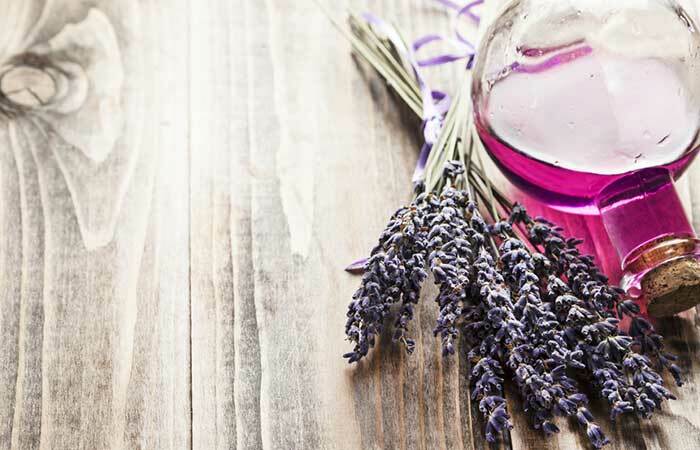 Add three drops of lavender oil to a diffuser. You must do this once daily, preferably right before bedtime. Among the many benefits of lavender oil, the most evident ones are its calming, stress-relieving, and sleep-promoting effects (9), (10). It also has anti-inflammatory properties and can help keep your thyroid hormones balanced and functioning normally (11). This essential oil is best suited for treating hyperthyroidism. Add 10 drops of peppermint oil to your bathwater and soak in it for 15 to 20 minutes. You can also mix six drops of peppermint oil with some carrier oil and rub it on your stomach and behind your feet. 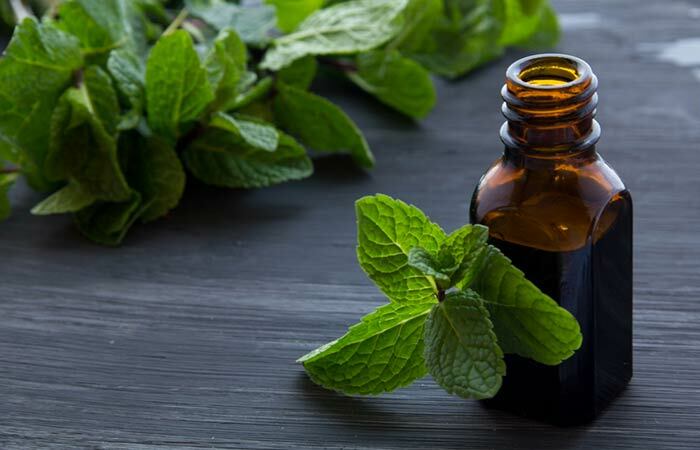 The presence of menthol imparts beneficial anti-inflammatory and anti-stress properties to peppermint oil, which can help treat hypothyroidism (12). Add six drops of rosemary oil to 15 mL of any carrier oil. Mix well and rub it onto your scalp, stomach, and behind your feet. The powerful anti-inflammatory properties of rosemary oil can help reduce inflammation and stimulate your thyroid gland (13). 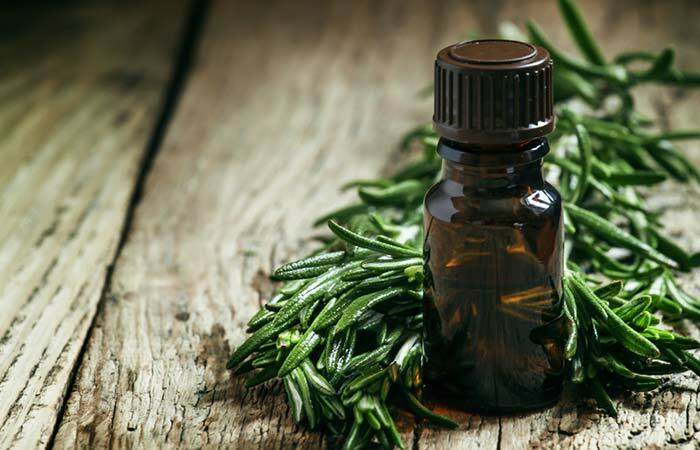 Thyroid problems often lead to fatigue and thinning hair, and rosemary oil can help solve this by boosting your energy and stimulating hair growth. This essential oil is best for treating hypothyroidism. 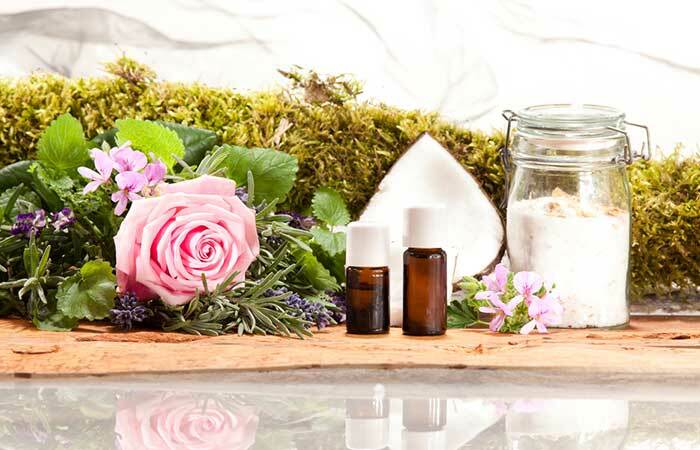 Add six drops of rose geranium oil to 15 mL of any carrier oil. Mix well and rub it on your stomach, behind your neck, and on the soles of your feet. You can also add 15 to 20 drops of this oil to your bathwater and soak in it for 15 to 20 minutes. Rose geranium oil is another excellent essential oil that can help treat hypothyroidism (14). This is because of its strong anti-inflammatory properties, which can help reduce inflammation in the gut and blood vessels (15). 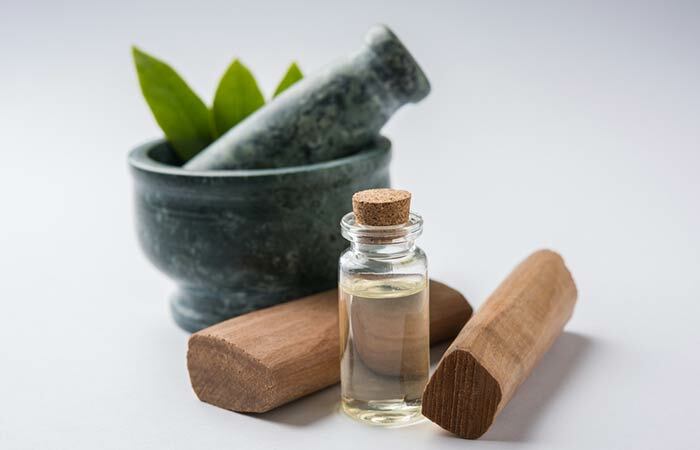 Whether your thyroid gland has gone into overdrive or is just not producing enough of thyroid hormones, you will find a solution for your problems among the essential oils listed here. Which essential oil worked best for you? Don’t forget to share your experience in the comment section below!